Does not contain aluminium chlorohydrate, parabens, triclosan, alcohol or CFCs. Does not suffocate pores. Our multi award-winning Natural Deodorant Spray has now got even better! With an improved formula, featuring a drip-free application and moisturising aloe vera, the new unisex Spray offers our most effective and long-lasting protection yet against body odour. 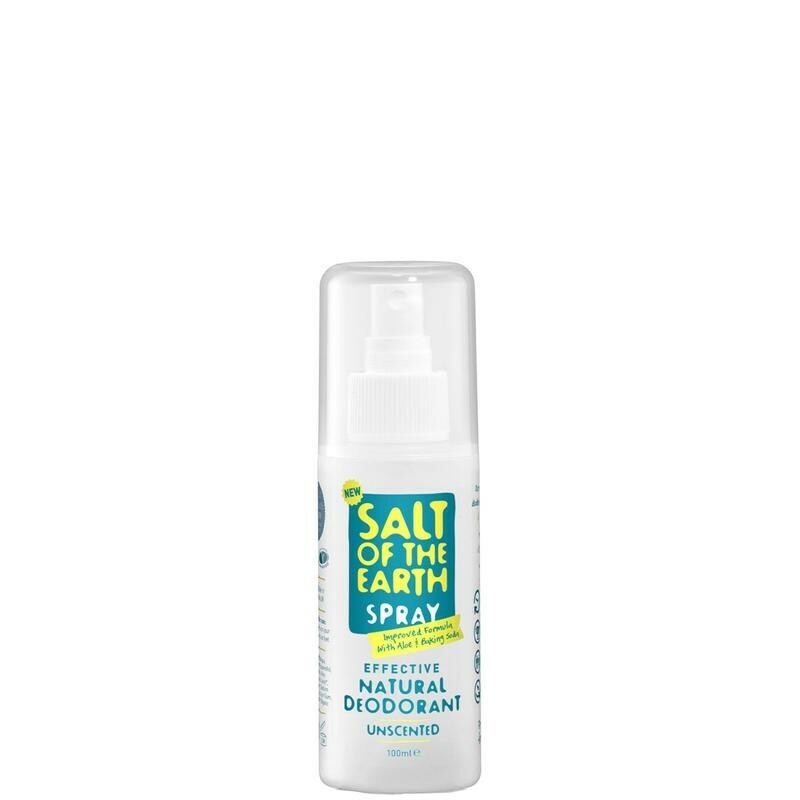 Made from 100% natural ingredients and fragrance-free, the new and improved deodorant Spray is designed to sit on the surface of freshly-cleaned skin, inhibiting the growth of odour-causing bacteria. No white marks. Approved by the Vegetarian and Vegan Societies. I have tried so many natural deodorants that do not contain any perfume, but this was the best!! I have used this item for about 20 yrs. From when it was first introduced in Britain, as a solid stick. I laterally bought from a High Street Retailer, so this is the first I have ordered the refill bottle. A great idea. I'm emigrating, so bought 2 refill bottles, as I have tried in vain to buy the product there. I've always sweat a lot any deodorants I've bought from the supermarket or got from the doctor haven't done much. This stops me from smelling and lasts almost all day. I bought the small travel size as well for when I need a top up. I'd say it would last a normal person all day because I do personally sweat a lot. I'll definitely repurchase! 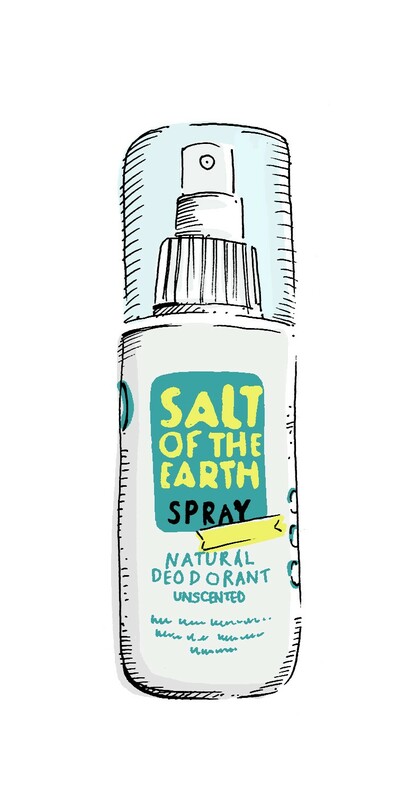 I have stopped using Nivea roll on anti-perspirant in favour of "Salt of the Earth". I was expecting that a natural product wouldn't perform as well, but I was wrong. If anything I believe "Salt of the Earth" out performs Nivea's product. I apply the Crystal Classic stick immediately after showering, while still wet so it applies easily. I stay dry all day long and don't smell at the end of the day, which I can't say for Nivea. I have also noticed that my underarms are less itchy/irritated. 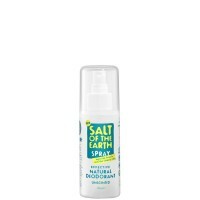 Goodbye aluminium salts, hello natural protection. 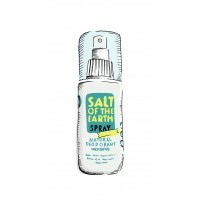 This product is fantastic, I recommend it to everyone! This is the most effective deodorant have have ever used. I previously used the classic aerosol type deodorant sprays (sure, vaseline) but often didn't like the fragrance or found that they were just ineffective, and by the end of the day I felt a bit smelly : ( But with this I have no odor even in hot weather. I apply after a shower and its effective all day. I find a bottle lasts much longer than classic aerosol deodorants as well. I'm also glad to be able to ditch the less environmentally friendly aerosols for a pump spray, and use the large refill bottle to cut down on packaging. Perfect!